The gut is often one of the first things that a practitioner of nutrition will focus on when something is array – metabolically, immunologically and even mentally. Why? Because its how we receive the precious nutrients that drive the systems that keep us not only surviving, but thriving. Its also the bouncer for the body, ensuring nothing gets in that disrupts harmonious systematic functioning. These herbs, supplements and nutrients are a great addition to your leaky gut toolkit, alongside macronutrient choices, dietary exclusions, exercise, stress and relaxation techniques. As nutrients, active compounds in herbs and dietary supplements support the systems of the body, combinations may be synergistic. Thats not to say aim to stack all of them, but play around. 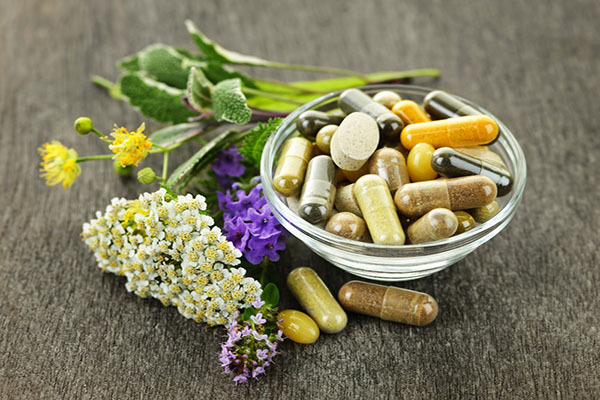 Be wary that medications might have interactions with certain supplements and herbs, and that many nutrients have tolerable upper limits and can be toxic at high doses, so be wary. This is basically a fancy word for plant fibres. But notably, some prebiotics are types of fibre, but not all fibres are prebiotic. Prebiotics are ultimately a fuel source for commensal bacteria like bifidobacteria and lactobacillus (1), and feeding these strains allows for many regulatory benefits within the gut, especially barrier function. Commensal strains of bacteria produce short chain fatty acids (SCFA), like butyrate, by fermenting prebiotics, which are used as a fuel source for colonocytes and enterocytes (2). They also maintain barrier integrity by regulating tight junction proteins like ZO-1, ZO-2 and Occludin (3). SCFA Increase glucagon-like peptide-2 (GLP-2) production in the colon. Increased GLP-2 production is associated with higher expression of ZO-1 which improves mucosal barrier function (4). SCFA are also immunomodulatory, and quell inflammatory cytokines which drive intestinal permeability and cell damage (5). Prebiotics can help to prevent increases in intestinal permeability and damage to the intestinal barrier. Pathogenic bacteria, and overgrowth of certain strains such as C.dificile can produce metabolites which drive characteristics of leaky gut (6). Oligosacchardies showed antimicrobial activity against C.dificile, in vitro (7). 16g/day of inulin type fructans significantly increased 3 species of bifidobacteria after 3 months (8), and increases have also been seen in as little as 5-8g/day of Inulin, oligofructose, and FOS (9). B-glucans which are a type of soluble fibre found in abundance in oats, and mushrooms like reishi, white button and shiitake. Pectins, which are another type of soluble fibre are found in high quantities in apples, peaches, grapefruit, carrots, potatoes and peas. Fructooligosaccharides, inulin and galactooligosacharides are non-digestible carbohydrates which act as prebiotics, and can be found in onions, leeks, garlic, jerusalem artichokes and asparagus. Resistant starch is similar to a fibre in that it does what it says, resists digestion and feeds colonic microflora. Find it in oats, legumes, green bananas, a cooked then cooled potato is high in RS, and cooled rice. You can also get supplements which contain prebiotics, and some are even combined with probiotics for added benefit. Be wary of excessive dietary consumption and supplementation of prebiotics if you suspect SIBO, which may indeed feed pathogenic bacteria. You may choose to deal with the overgrowth first with antimicrobials, or antibiotics if necessary. In a similar way to prebiotics, probiotics essentially support the many beneficial roles of indigenous bacteria bifidobacteria and lactobacillus, by increasing their rates of colonisation within the gut. A leading role of bacteria is in the control of colonic permeability – the opening and closing of the tight junctions between cells, which we call leaky gut. Beneficial strains such as lactobacillus reduce intestinal permeability, whereas pathogenic bacteria such as E.coli increases intestinal permeability in rats (10). An added benefit of such protective control from BB is reduced translocation of PB and endotoxins (11). Another function of probiotics is in their control of immune function within the gut. Intestinal inflammation is mostly driven by two inflammatory cytokines TNF-α and interferon-γ IFN-γ (12), which increase permeability. VSL#3 probiotic cocktail of 8 strains normalised these cytokines after a 4 week probiotic cocktail in mice (13), and improves barrier function (14). VSL#3 also increased levels of Bifidobacterium and Lactobacillus in patients with IBD (15). Bifidobacterium and Lactobacillus are key strains for producing SCFA (16), which maintain barrier function and regulate inflammation (17). Therefore, the overall composition of the microbiome is of key importance, and thats where a probiotic comes in. Cannabidiol, one of the many (non-psychoactive) cannabinoids in cannabis may help improve the overall environment in several ways. The gut is an abundant site of both CB1 and CB2 receptors, and are typically the site for endocannabinoids like AEA and 2-AG to bind. Because cannabinoids, particularly THC and CBD can bind these receptors, it allows them to alter aspects of gastrointestinal function. 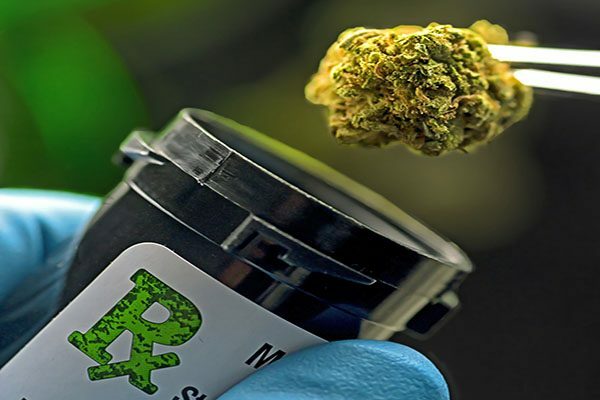 CBD has a relatively low affinity for CB receptors, and acts as an antagonist. Pharmacologically speaking, it blocks the action of the receptor. CBD acts on CB1 to regulate intestinal permeability through altering expression of tight junction proteins (18). Binding CB1 also allows a shift in motility (19), which is beneficial for both diarrhoea and constipation, the later being an important factor in treating and preventing SIBO, which is one of the ways a leaky gut can arise. Action at CB2/TPRV1 reduces pro-inflammatory cytokines/produces anti-inflammatory cytokines, preventing damage and dysregulation of the intestinal barrier (20). 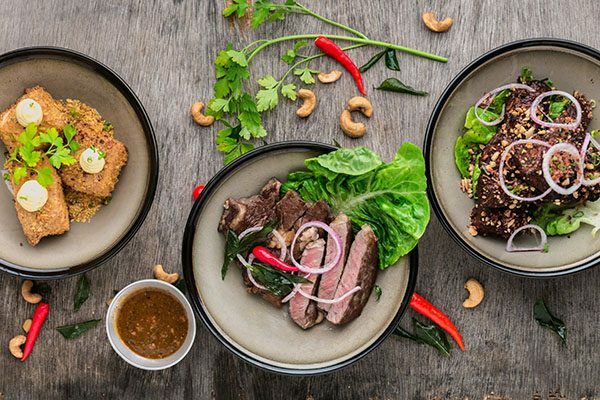 Although zinc deficiency tends to be fairly rare, insufficiency is much more common and could pay a role in the health of the intestinal environment. 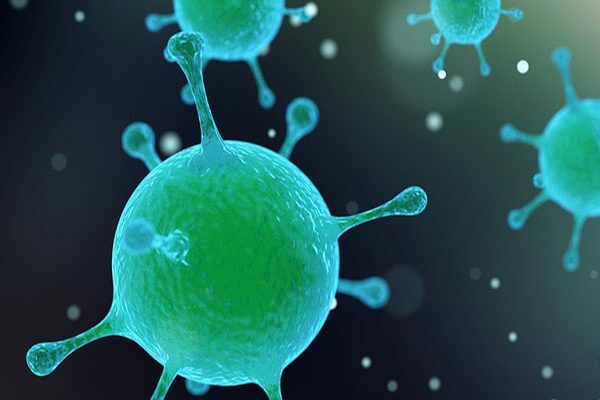 Zinc deficiency has been shown in animals to dysregulate tight junction proteins ZO-1, increasing intestinal permeability, and increases sensitivity of epithelial cells to exotoxins like alcohol (21). In human intestinal cells, zinc deficiency promotes barrier dysfunction and increased the secretion of inflammatory messengers such as IL-8 (22). This is likely due to zincs essential role within the immune system, and in decreasing inflammation (TNF-α, IL-1β, and IL-8) (23). Zn is also an antioxidant, which is essential for protecting intestinal cells against oxidative stress and structural damage. Promotion of healthy gut cells may indeed be one of the protective effects of zinc, considering its important for protein & DNA synthesis, wound healing and epithelial cell differentiation (24)(development). Zinc supplementation at 110mg three times a day for 8 weeks resolved ‘leaky gut’ alterations in patients with Crohns (25). You’ve probably picked up on the recurring theme here, a lot of nutrients regulate the activities surrounding the function and protection of the gut. Well, Vitamin A is no exception. Technically speaking, its Retinol we are interested in, as this is the active form of Vitamin A. Precursors to to Retinol are mainly various types of carotenoids, which you could loosely call Vitamin A.
Metabolic depletion of Retinoic acid, (which is a metabolite of Retinol) is related to a dysfunctional epithelial barrier (26). Retinoic acid binds retinoid acid receptors (RAR) in gut cells, reducing permeability, and was found to reduce inflammation related cell damage in mice (27). Vitamin A regulates gene expression by binding nuclear receptors in cells, much like steroid hormones do. This is what enables it to also induce tissue growth, repair and cell development (in the gut). This may in fact be how Vitamin A helps recover from excessive inflammation. You’ve probably heard the no end of benefits to supplementing or including turmeric in your diet, but just for kicks, lets list off a few more. Curcumin is the most active ingredient in turmeric has been studied the most extensively. Inflammation is one of the root causes of a gut thats leaking, and Curcumin shows promise in putting out the fire at the root. Curcumin inhibits a key transcriptional factor for induction of inflammation (NF-kappaB), COX-1 & COX-2 enzymes which initiate the start of an inflammatory cascade, and inflammatory cytokines TNF-alpha and IFN-gamma (28). Patients with IBD were given Curcumin (360 mg/dose) 3 or 4 times/day for three months, and reported encouraging results in the prevention of relapse (29). These results could very well be due to the mechanisms above, although more studies are needed to back up initial efficacy. Curcumin reduced intestinal permeability, and improves recovery of the intestinal epithelial barrier in rats exposed to intestinal injury (30). These effects were proposed to have been due to the reduction of TNF-alpha, which improved ZO-1 control of permeability. The benefits of turmeric don’t stop at just Curcumin, and many oils, alkaloids and other compounds exert benefits independently of Curcumin (31). Turmeric has antimicrobial and antibacterial properties, which could be effective for addressing SIBO and dysbiosis of bacterial populations in the intestine (32). Turmeric shows antibacterial activity against Staphylococcus aureus and Escherichia coli (33), two bacterial strains whose overgrowth is a common finding in IBS (34). Curcumin is notoriously poorly bioavailable, so using black pepper, fats like coconut oil and Phospatidylcholine improve its activity. 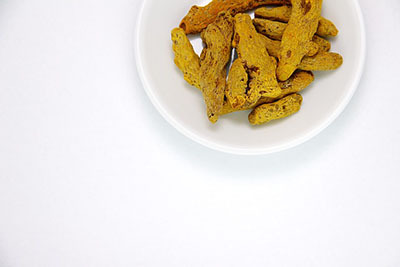 Whole turmeric unsurprisingly boosts the availability of Curcumin due to its inherent oils (35). This is one of the most famous antioxidants out there, and you may have heard it being referred to as ascorbic acid. As well as paracellular permeability issues, which is basically the opening of gaps between gut cells; a gut can become leaky via transcellular permeability. This is where cells are structurally damaged and allow the gut to leak in another way. Vitamin C, as well as serving protective roles to cells as an antioxidant, also facilitates their growth and development. Collagen is an essential component for cell structures, and Vitamin C is required as a co-factor nutrient in the post synthetic modification of pro collagen > collagen. Therefore, Vitamin C could provide additional support to intestinal barrier regeneration. If you are supplementing Vitamin A, then adding D may help compound the benefits. A synergy exists between receptors for vitamin A (RXR) and D (VDR), which allows significant control of gene expression and therefore cellular function. Vitamin A is essential for normal response to vitamin D and, too little Vitamin A impairs responses to D.
The vitamin D receptor (VDR) preserves barrier integrity through the control of cellular permeability, and promotion of healing capacity of the colon in mice (36). Vitamin D deficiency is commonly seen in patients with IBD (37), where excessive inflammation from immune system imbalances is common. A major role of Vitamin D is as an immunomodulator – it directs the development of immune cells to either TH1 or TH2 proteins, which ultimately determines the type of immune response (38). TH1 and TH2 balance is key, as TH1 stimulates a pro-inflamamtory response (IFN-γ), and TH2, anti-inflammatory (IL-4, IL-5, and IL-13) (39). After 6 weeks of supplementation with active vitamin D, markers of inflammation (C-reactive protein) was significantly reduced in Crohns patients (40), and in mice with colitis (41). Therefore, vitamin D helps protect the colon from inflammatory injury and preserves barrier function. With a more indirect impact on the intestine, magnesium deficiency reduces the content of bifidobacteria in the colon in mice. This was also found to alter the expression of tight junction proteins and permeability in the small intestine (42). Another study with rats similarly found magnesium deficiency to increase small intestinal leak, and a corresponding increase in inflammation. Reintroduction of magnesium reduced the inflammation (43). Deficiency is common with gut issues (44) and come as a result of impaired absorption and diarrhoea. 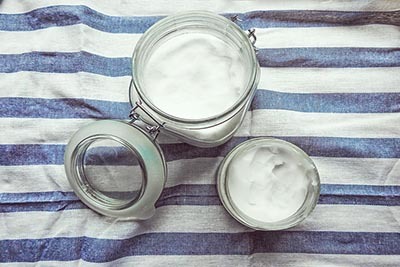 Because magnesium is essential for muscular contraction, losing out on it in this way can impair gut motility (45) and potentially pave the way for SIBO, constipation and a leakier gut. This is an essential protein building block which forms connective tissue, and is especially important for the maintenance of the intestinal epithelial barrier. Two important amino acid constituents of collagen are proline and glycine, which effectively patch the leaks in the gut wall – like cement. 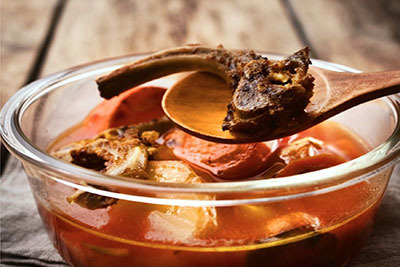 This is one of the reasons that bone broth has become so popular, due to its collagen content, as well as its gelatin (which is basically collagen) and amino acid complexity. You can also get collagen in supplement form, which comes as a powder. This is probably one of the most widely used leaky gut supplements around, and arguably one of the most effective. Glutamine is an amino acid, which becomes conditionally essential in times of ill health. Thats partly because enterocytes (intestinal cells) and immune cells (lymphocytes, macrophages, neutrophils) use glutamine as a preferential source of fuel to support defence and regeneration. Inflammation determines glutamine concentrations (46) and glutamine deprivation alters intestinal tight junctions (47). Glutamine is one of three amino acids (other two being cysteine and glycine) which is used to make glutathione, the bodies master antioxidant. Glutathione combats oxidative stress, which is the process by which cell membranes and structure are damaged. Glu may help preserve integrity of the gut wall, as high concentrations have been detected in the gut epithelium (48). The hype for ginger is real, especially for a leaky gut. Its a real team player, and may offer solutions to many issues that drive a gut into despair. For a start its a prebiotic and has antimicrobial properties. Ginger was found to increase the growth of beneficial bacteria – Bifidobacterium spp. and Lactobacillus spp. and inhibit the growth of pathogenic bacteria – Ruminococcus in vitro (50). This may be beneficial for addressing SIBO, and supporting the regulation of barrier function through a healthier bacterial environment. Famously, its an anti-inflammatory. 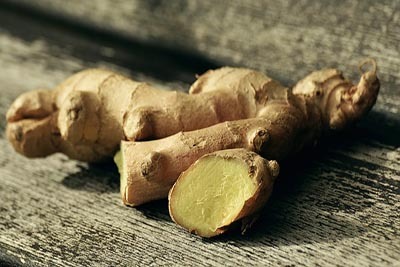 6-Gingerol, the active component of ginger was found to reduce the level of pro-inflamamtory messengers TNF-α, and IL-6 (key culprits in leaky gut), and inhibit the instigator of inflammation – NF-κB in vitro (51). 6-Gingerol also has pro-apoptotic activity in human colorectal cancer cells in vitro (52) – it encourages the recycling of old cells for new ones. This is especially important for the healthy turnover and rejuvenation of the gut lining. Glycosaminoglycans and glycoproteins are protein-carbohydrate complexes which are essential components of cellular structure, and can be synthesised with the help of NAcGlc. Both glycosaminoglycans and glycoproteins are needed for tissue repair and to hold cells together, helping to keep that gut nice and tight. A pilot study which included 12 Crohns patients supplemented 3-6g NAcGlc, which significantly increased glycosaminoglycan concentration within intestinal cells (53). Quercetin is a polyphenol which comes from the flavonoid family, and is one of the reasons green tea has become so popular, as its a rich source. This flavonoid has antioxidant and anti-inflammatory properties, making it yet another team player in resurrecting a gut gone wrong. One of the ways Quercetin tackles inflammation is by keeping mast cells in line, which are a specific class of immune cell. Mast cells are culprits for gut inflammation and leakiness, partly because of their histamine release. A study found Quercetin to inhibit the release of histamine and other pro-inflammaory messengers TNF-α, IL-6, IL-1B, and IL-8 from mast cells (54). Quercetin was also found to improve barrier function through regulation of the tight junction proteins you’ve heard so much about by now – zonula, occludens-2, occluding, and claudin-1 (55). NAC is an free radical scavenger, which is basically another way of saying its an antioxidant, and a good one at that. Free radicals play a role in the destruction of the gut wall, and NAC has been found to protect cells of the small intestine from such damage in rats (56). Cysteine is also an amino acid building block to the bodies master antioxidant, glutathione. Increasing the availability of Cysteine may provide additional protection against oxidative stress, and structural damage to the gut wall. The gel of aloe vera has received a lot of attention as a potential therapy for IBS and IBD as a result of its antioxidant and anti-inflammatory qualities. Constituents of the gel, such as aloesin, aloin and aloe-emodin were found to inhibit the activity of the enzyme myeloperoxidase (MPO), which activates neutrophils (57). These are types of immune cells which have been linked to the development of IBD. These same compounds also inhibit the release of pro-inflammatory cytokines TNF-α and IL-1β in the colon of rats (58). 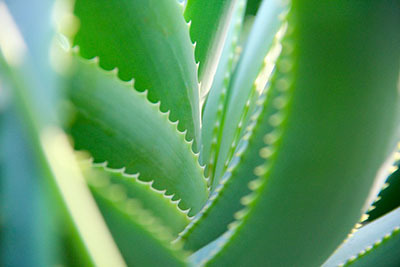 Since these types of discoveries in animal studies, human trials have explored aloe vera supplementation. An RCT in ulcerative colitis patents found that supplementing 100ml aloe vera gel for 4 weeks appeared to reduce disease activity compared to placebo (59). A similar RCT in IBS patients found a modest but clinically meaningful difference from 4 weeks aloe vera supplementation (60). In a more indirect but still very significant way, this herb can be an essential addition to the leaky gut toolkit. The leakiness of the gut can also be controlled via hormonal and neurotransmitter activity, and is the reason stress is a big factor in leaky gut. CRH and cortisol are two hormones which communicate through the hypothalamic pituitary adrenal (HPA) axis, and can affect gut function in a myriad of ways. Chronically high cortisol depletes a protective immunological barrier called SIgA, which can leave the gut wall exposed to pathogens etc. Low cortisol can be just as bad; since it is an anti-inflammatory compound, low levels are unable to tackle inflammation to the same degree. CRH is linked directly to gut permeability, and CRH (stress) activates mast cells which increased gut permeability in 23 human subjects via activation of mast cells (61). This may be due to a histamine/inflammation driving the leak. Ashwagandha is called an adaptogen because of its properties in regulating HPA activity to the degree you as an individual need it to. So whether you have high cortisol or low cortisol, it helps you restore your own equilibrium. Here are some studies that show ashwagandas cortisol normalising effects (62, 63). Cortisol prevents its own secretion through negative feedback to the hypothalamus, so normalising it helps regulate CRH secretion. 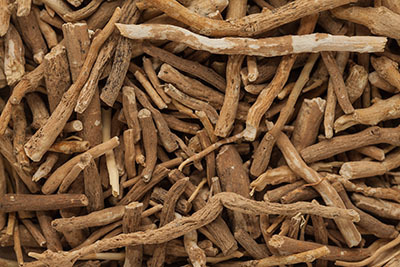 This is another adaptogenic herb with much the same properties as ashwagandha. For an explanation on the relevance of cortisol to leaky gut, read the ashwagandha section above. An RCT of 60 participants found that a R. ROSEA extract at 576 mg/day reduced the cortisol response to stress (64). This is a true demonstration of the capacity of adaptogens to increase resilience to stress through HPA and cortisol activity. Since stress is a driving force of leaky gut, a greater resilience to it, and less of a hormonal reaction to it, is a powerful ally. All the way from the Andes of Peru, Maca is yet another adaptogenic herb which assists with the regulation of hormonal balance within the HPA axis. A pilot study found two 500mg capsules of maca to reduce levels of ACTH, another hormone within the HPA axis. (65). ACTH is a mediating hormone of the stress response within the HPA axis. ACTH is also partly responsible for cortisol release, which when overly expressed may interfere with immune defence within the gut (SIgA depletion). Interestingly, IBS patients have shown increased ACTH response to CRH (a stressor) (66), indicating a mediating role for ACTH in gut motility, which is another aspect of gut function which can affect its leakiness. This is possibly one of the most famous adaptogens, and can be found in several different varieties such as Siberian, Chinese or Korean. Ginseng is another adaptogen, so to some degree will exert similar qualities in term of HPA function as the others. The real cherry on top with ginseng, though, is its ability to stimulate antioxidant enzymes. An RCT over 6 months found that 3 and 6g of ginseng greatly increased internal antioxidant enzymes – superoxide dismutase, glutathione peroxidase, and catalase (67). These are effectively the front line clean-up crew against cellular and DNA damage, essential for tackling a leaky gut and health preservation in general. Also, ginseng was found to promote a good nights rest, as a calming agent, in another RCT (68). Good sleep is essential for rejuvenating the gut, and for health in general. Licorice is most famous for its use in traditional Chinese medicine, especially for digestive health problems. 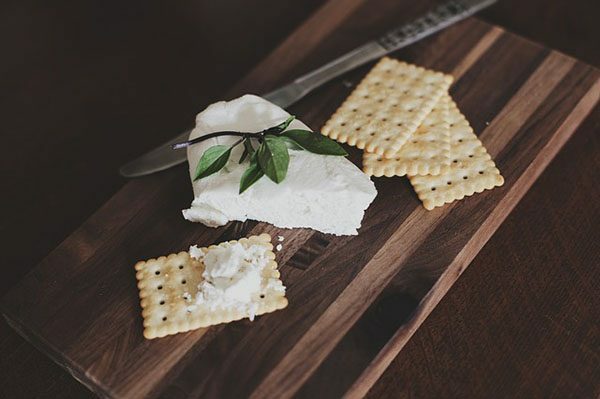 Glycyrrhetinic acid has anti ulcer properties within the lining of the stomach of rats (69), and may help protect the mucosa of the intestine. It also reduced expression of inflammation in a rat model of ulcerative colitis (IBD) (70). Together these properties may help the intestine regenerate. 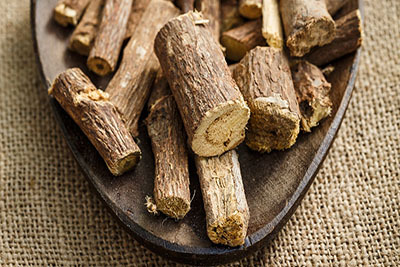 The compound Glycyrrhizin is the main active compound in Licorice, and is what specifically modulates cortisol. Glycyrrhizin was found to significantly increase Cortisol when supplemented at higher doses ~ 100g Licorice (500mg Glycyrrhetic Acid). This adaptogen would be of particular use for increasing cortisol, such like in cases of ‘adrenal fatigue’ (HPA axis dysfunction). Seeing as cortisol interacts with immune cells as an anti-inflammatory, too little as well as too much can be undesirable. Licorice root in combination with a preparation of other herbs reduced gastrointestinal symptoms in Ulcerative colitis (71). Although not as magic as their psychedelic cousins, the humble white button mushroom still has a trick or two up its sleeve. All along the GI tract from your mouth right down to the intestine, there is a mucosal lining which houses a first line defence of the immune system. A particular antibody, SIgA lives in this mucosal layer, and is essential for dealing with initial threats without stirring a full blown immune response, and initiating inflammation. A leaky gut tends to develop a leakiness because of a breakdown of this mucosal defence, and a disappearance of SIgA. Well, white button mushrooms contain special fibres (polysaccharides) that regulate the secretion of SIgA, which in effect make them immunomodulators. An RCT found that after 2 weeks of eating white button mushrooms, salivary SIgA increased by 56% from baseline (72), whereas the control group had no increase. Mmmmmmm, clarified butter! This is a big hit in Ayurvedic medicine, and has been used for centuries as a traditional medicine. Ghee contains the same short chain fatty acids that your gut microbes make out of plant fibres – butyrate, propionate and acetate. Not only do these regulate gut permeability (73), but also act as fuel sources for gut cells to regenerate, and as immunomodulators (74). Ghee is also a rich source of fat soluble vitamins A & D, which themselves play important roles in immune regulation and gut wall permeability. This might be why Ghee is a top choice selection for great gut health. This is another famously used herb in the treatment of gut problems within traditional medicine circles, such as Native American. Slippery elm helps support a healthy mucosal integrity through stimulating mucous secretion (75), which may make it an effective tool for protecting the gut wall. Another aspect of its protective capacity is its antioxidant activity within the intestine, which shows promise as a means of cellular defence against reactive oxygen species in an in vitro study of IBD (76). Much like slippery elm, marshmallow polysaccharides have mucosal supporting properties throughout the lining of the GI tract. An in vitro study of epithelial cells found that Marshmallow stimulated tissue regeneration and mucosal activity, which may help sooth irritated mucous membranes (77), such as those in IBS & IBD (78). Marshmallow polysaccharides (soluble fibres) may also offer up a feast for the gut microbiome, supporting their growth and numbers, fortifying the defence of the gut wall as well as supporting its regulation. This is a combination of 3 fruits traditionally used in Ayurvedic medicine – Amla, Haritaki and Bibhitaki. 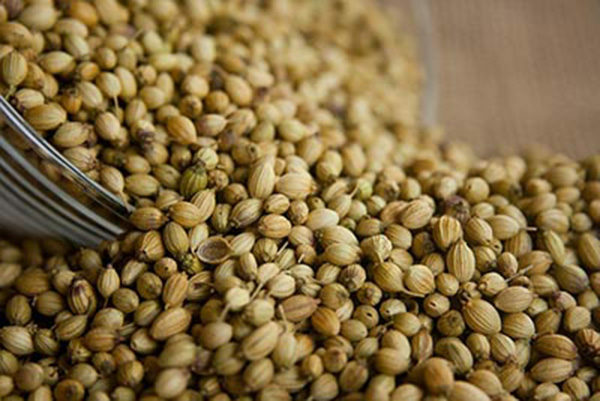 Triphala has been shown to regenerate depleted protein in the villi of the brush border of the small intestine in rats (79), possibly due to its antioxidant action and ability to restore our master antioxidant, glutathione. Also, Triphala exerts antimicrobial properties against bacteria such as E.Coli, and polyphenols like Quercetin in Triphala even promote the growth of beneficial bacteria Bifidobacteria and Lactobacillus (80). Triphala is also a COX – 2 inhibitor (81), which is an enzyme responsible for initiation of the inflammatory cascade. Nipping inflammation in the bud at the source is a powerful effect for plants, and is often an area pharmaceuticals target. A clinical trial in humans reported reduced constipation, mucous, abdominal pain, hyperacidity, and flatulence while improving the frequency, yield, and consistency of stool (82). So, as an all in one concoction, Triphala may indeed help address the many complications which predispose a leaky gut, such as dysbiosis and motility issues. As well as having increased paracellular (between cells) permeability, a leaky gut can also be a damaged one (in more severe cases and IBD), which may increase transcellular permeability (through damaged cells). Omega-3’s from fatty fish supplements can be incredibly beneficial here, for both paracellular and transcellular permeability. 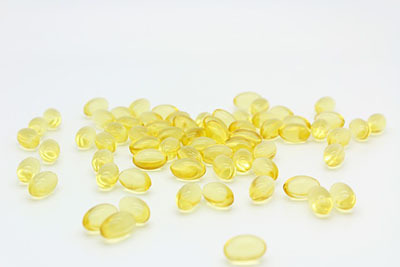 DHA is an omega-3 fatty acid which constitutes the phospholipid bilayer of cells. Think of it as scaffolding which the cell uses to build membranes. This is highly beneficial for enterocytes an colonocytes (gut cells) and their integrity. Additionally, n-3 fatty acids like DHA are highly anti-inflammatory, and restore balance at the core of the inflammatory process (83), where either pro or anti-inflammatory eicosanoids (messengers) call the shots. For example, omega-3 derivatives regulate gastro-intestinal inflammation and gut mucosal immune responses (84), and omega-3 fatty acids decreased mucosal damage in mice (85). The pungent principal in chilli’s, Capsaicin is a real paradox with regards to its effects. In the gut TPRV1 is a receptor which is involved in the regulation of inflammation. Capsaicin binds this receptor, which releases a compound called Anandamide. 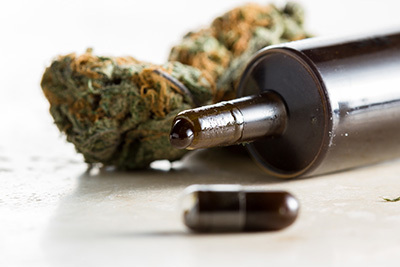 A study in mice found that Anandamide was responsible for a reduction inflammation (86), as it binds to CB2, which is a cannabinoid receptor expressed on gut immune cells. In addition, endocannabinoids such as Anandamide may play a role in motility, as it is also a CB1 agonist (87). This may indeed be another mechanism by which capsaicin affects gut motility, which has been shown to improve abnormal motility in rats (88). Counterintuitively, chilli’s could play a role in gut immune homeostasis. *A note of caution to IBS sufferers; TPRV1 nerve fibres are increased in IBS (89), and may actually correlate to low grade inflammation and abdominal pain through heightened sensitivity (increased TPRV1). This may explain the difficulty in stomaching spicy foods. Brain chained amino acids are a specific variety of amino acids (protein) which have distinct functional properties from their relatives. They include Leucine, Isoleucine and Valine. These are essential regulators for immune cells like lymphocytes, which in the absence of BCAA’s impairs innate immune function (90). BCAA’s also play an important role in promoting SIgA secretion (91), an antibody which sits in the intestinal mucosa as a first line of defence. A strong defence protects against invading pathogens and a compromised gut. S. boulardii is an immunobioitc yeast which may help improve mucosal immunity and function in cases of leaky gut. For a start, supplementation has been shown to strengthen intestinal barrier function in the colon of IBD patients through restoration of adherens junctions (92). Secondly, mice given S. boulardii had increased production in SIgA, as well as increased the clearance of E.Coli (93). This may indeed indicate a role for S. boulardii in the modulation of immune responses and homeostasis of the gut. PC is a rich source of phospholipids, which are one of the components the constitute mucous. Up to 90% of these phospholipids can be derived from PC, thereby playing a key role in mucosal defence of the intestinal barrier (94). Indeed a lack of mucous lining the intestinal tract may expose the gut to inflammation and ulceration, damaging it and causing defects in function. PC may in fact mitigate inflammation, and has been shown to improve clinical remission in IBD patients in a phase II clinical trial administering 6g/day for 6 months (95). Poor immunity can occur in response to dysbiosis, a characteristic trait of a leaky gut. The anti-fungal, antimicrobial and anti-vital properties of MCT’s in coconut oil may actually help restore harmony within the microbiome. For example, C.Albicans can be effective inhibited with coconut oil (96). Coconut oil may lend some benefit here as an immunomodulator (97), and as an antioxidant in protection the integrate of the gut wall. It is also an effective anti-inflammatory (98), which is especially beneficial for combatting damage to enterocytes within the intestinal tract. This is a herbal decoction hailing from the roots of traditional Chinese medicine, and is mostly comprised of Zexie, Baishao and Wuweizi. These 3 herbs in particular were found to significantly improve intestinal permeability, after the administration of an inflammatory endotoxin in rats (99). Zexie, Baishao and Wuweizi in doses of 1.33, 0.50 and 0.17 g/kg significantly decreased plasma endotoxin, indicating an improvement in intestinal permeability. Paeonia lactiflora Pall. is a root indigenous to Japan, China and Korea, and is often made into a decoction for administration. WPR works as an anti-inflammatory at the source by inhibits the signalling of Eicosanoids which initiate inflammation – prostaglandin E2, leukotriene B4, and nitric oxide, in animal models (100). Also, when rats were administered with an endotoxin designed to induce oxidative stress (cellular damage), Paeoniflorin (main compound in WPR) blocked decreases in master antioxidant enzymes – superoxide dismutase, catalase, and glutathione peroxidase (101). What this means is that WPR may provide protection against cellular damage (in the gut). A prospective, double blind trial did find that 71% of patients with autoimmunity (RA) had a therapeutic response to WPR extract of mostly Paeoniflorin (1.8 g/day). * However, a note of caution, 13.3% of those patients did have mild diarrhoea as a side effect (102). This is a form of blue-green algae which comes mostly from the lakes of the Americas, and Africa. 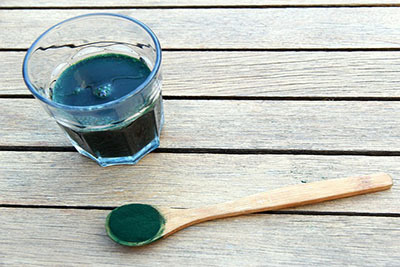 Besides packing a healthy dose of protein (a little more protein goes a long way in times of ill health), Spirulina may also be an antimicrobial. An in vitro study showed that spirulina exerted antibacterial action against Candida albicans (103), which has also been shown in mice with candidiasis (104). Candidia overgrowth is one of the most nefarious bacterial complications when it comes to leaky gut, and produces a greta deal of inflammation and permeability issues (105). Another useful tool for antioxidant defence, ALA provides powerful support in the homeostasis and restoration of antioxidant enzymes for cellular protection, and helps recycle Vitamin C and E. ALA decreased markers of oxidative stress (TBARS) and improves endothelial (cell) function in patients with subclinical hypothyroidism (106). ALA (in combination with other agents) reduced colonic mucosal injury in mice with IBD (107). Safe and effective doses ~ 600mg has been supplemented in a blinded trial for 4 years with side effects marginally higher in ALA than placebo (38.1 vs 28%) (108). Another study suggests a Tolerable upper limit of 1,800mg for up to 6-7 months (109). However, doses of ~ 300mg/day appear to be safe, and effective for antioxidant support in a study of 8 weeks (110). 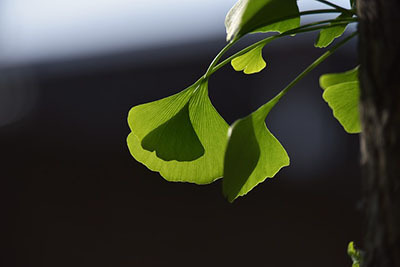 As well as being a nootropic, assisting in mood, cognition and memory (which I bet many of you with leaky gut are aware of), Ginkgo may lend a hand directly, in the intestine. Ginkgo effectively reduced TNF-a (inflamamtion) and restored tight junction protein function ZO-1, occludin and claudin-1 in rats with intestinal damage (111). This is another nootropic herb which enhances cognitive capacity, but also has notable properties for wound healing. This indeed may make it a useful herb for supporting a healthy intestinal lining through increased collagen production (112). Vitamin B6 is required as a cofactor nutrient for the transamination of glutamine. 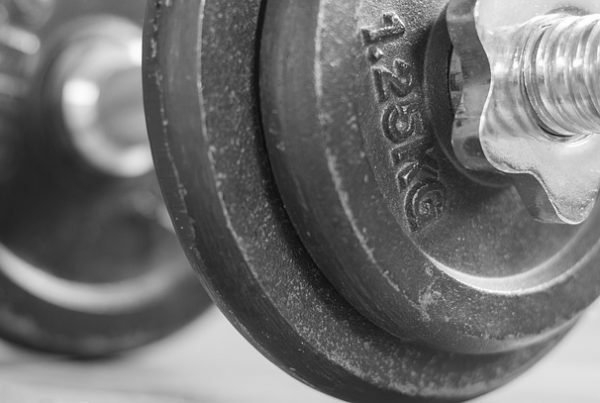 Regardless if you are supplementing glutamine or not, optimal B6 will help maintain glutamine pools. Because glutamine is a conditionally essential amino acid (in times of sickness), ensuring efficient cycling is key to supporting the regeneration of gut cells, glutathione (Ax) and lymphocyte (immune cell) production. Niacin, riboflavin and folate (B2, B3, B9) are other co-factor nutrients which are important for the regeneration of glutathione – the bodies master antioxidant. Folate shuttles the amino acid cysteine towards Glu production. Riboflavin is a cofactor for the enzyme glutathione reductase for glutathione recycling, and it helps shuttle electrons to be reduced by glutathione. These are classes of phytonutrients from plants which give them their colour, smell and taste characteristics. Most significantly they are a major source of dietary antioxidants. 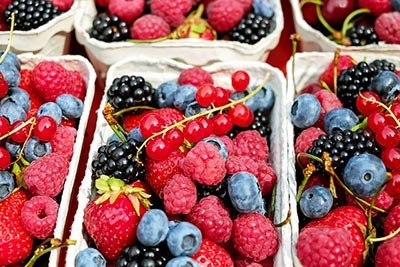 Antioxidants are essential for combating oxidative stress, which is basically a scientific term for ageing. Defusing excessive oxidative stress with antioxidant defence ensures protection against cell destruction and tissue degradation. Rich sources of these foods you can find in berries, especially blueberries, cacao, green tea and in all sorts of brightly colures plants.